RSVP for the most anticipated creative writing workshop of the year: “BOOT CAMP FOR QUEER WRITERS” with Jan Becker. Get your writing boots reading for this queerly manic, utterly fantastic and wildly popular life-changing writing workshop with Jan Becker. This intensive, yet nurturing prompt-driven poetry and flash non-fiction workshop is for writers at all levels. In fact, we jumped started the career of one new writer last year. 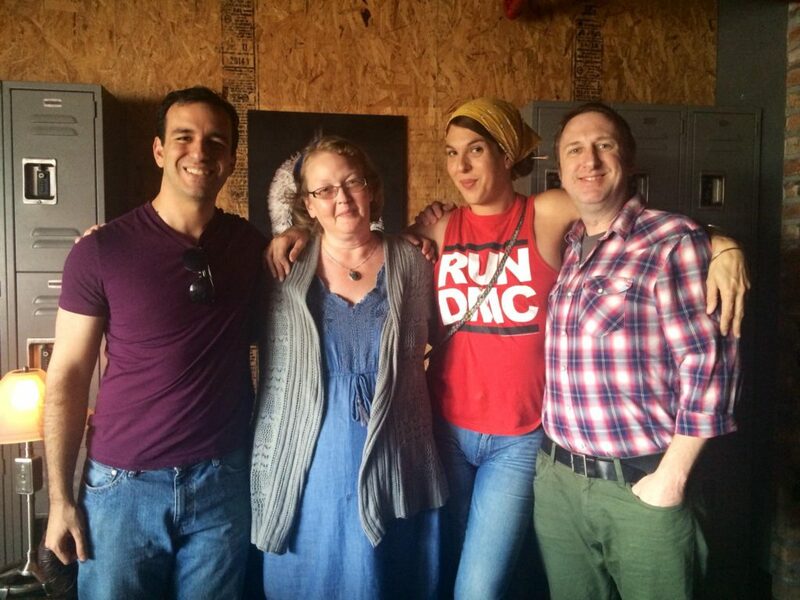 RQ Writing Alum from left to right: James Sacco, Jan Becker (Workshop Leader), Y’senia Mina and Errol Portman. JAN BECKER is from a small coal mining town in Pennsylvania. She didn’t stay there very long. She grew up in a Marine Corps family, on military bases all over the United States. She is currently an MFA candidate at Florida International University, and has taught courses there in composition, technical writing, creative writing and poetry. Her work has appeared or is forthcoming in Jai-Alai Magazine, Colorado Review, Emerge, Brevity Poetry Review, Sliver of Stone, and the Florida Book Review. She is the 2015-2016 Writer in Residence at the Girls’ Club Collection in Fort Lauderdale, and winner of the 2015 AWP Intro Journals Award in Nonfiction.